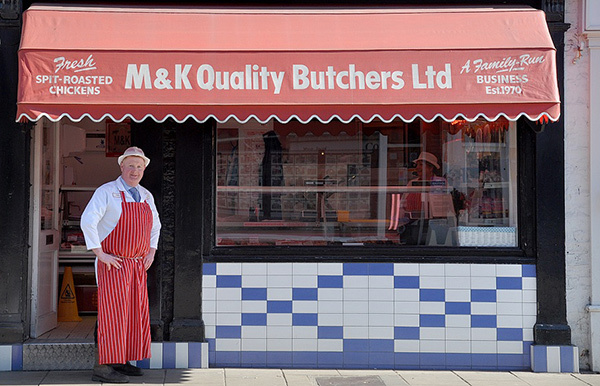 M&K Quality Butchers were established in 1970. They represent everything you would expect of a classic, spotless, independent butcher, and a few things that you may have forgotten. 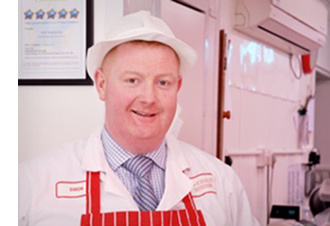 They are a family business – run by brothers Simon and Matthew Kneafsey. Simon and Matthew have a smart, competent and obliging team who can always be relied upon to give a high level of quality and service. Steaks, joints and chops can all be cut at point of sale to suit your individual requirements and, like all the best butchers, they make a variety of sausages and burgers on the premises. Cooked meats, pies and hot freshly roasted chickens are also available. They also have a successful wholesale side to their business, offering daily refrigerated delivery to local restaurants and hotels. An indication of M&K’s commitment to excellence and service is shown by the recent award of the maximum possible 5 star environmental health rating. Locally, M&K is legendary for its massive, but good-humoured Christmas Eve queueing. Such is the demand for their free range turkeys, geese, duck and other festive goodies that the queue stretches around the corner and tradition dictates that patient customers are rewarded with port and chocolates. M&K offer good old fashioned Yorkshire charm and efficiency – the kind of business where you are all on first name terms. Big businesses try and bottle it, but you have it right here on your doorstep.